The Foundation’s affairs are handled by a Board comprising of five members. A Board member’s successor is appointed by the Board. 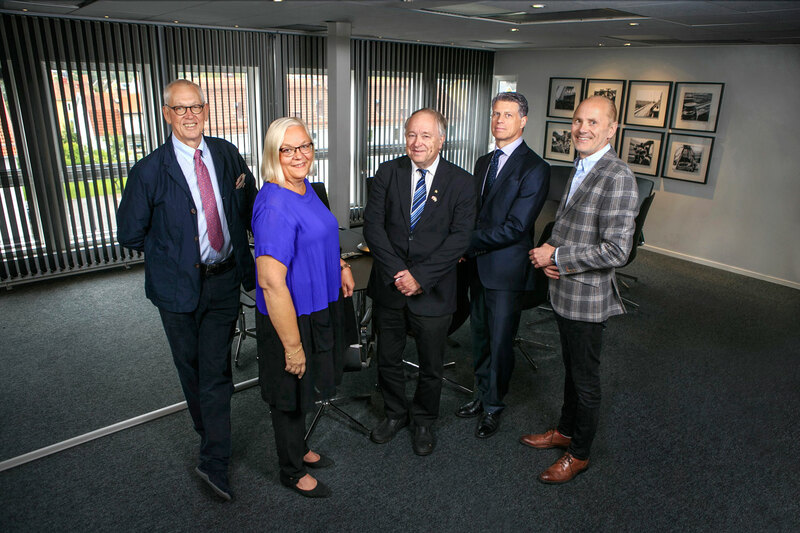 The current members of the Board are the Chairman Christina Backman (born 1960) – Gothenburg, Professor Emeritus Olle Isaksson (born 1943) – Gothenburg, Consultant Anders Klein (born 1964) – Gothenburg, CEO John Vivstam (born 1959) – Stockholm and Professor Håkan Olsson (born 1950) – Lund. Christina Backman has extensive experience within the area of banking and foundations. Olle Isaksson is Professor Emeritus in endocrinology (the study of hormones) at the Sahlgrenska University Hospital in Gothenburg. Olle Isaksson has held different managerial positions at the Sahlgrenska Hospital and the University of Gothenburg including the post as Head of the Institute of Medicine during the period 1998–2008. Anders Klein, consultant, has been Head of SEB Sweden business foundation and manager of SEB’s pension fund. John Vivstam is CEO of Posten’s Pension Fund and former chief accountant of the Nobel Foundation and has been responsible for management of the Nobel Foundation’s capital. Håkan Olsson is Professor of Oncology (tumour diseases) at Lund University. Håkan Ohlsson is a member of a large number of Swedish and international organisations focusing on cancer diseases.